The (North American) hockey world was shocked yesterday to learn that superstar winger Ilya Kovalchuk was retiring from the National Hockey League and, according to subsequent reports, planning to sign with SKA St. Petersburg of the Kontinental Hockey League. Today, it was announced that he has signed with the KHL club for four years. Kovalchuk’s decision is of interest to hockey fans for numerous reasons, including obviously fans of his now-former NHL team the New Jersey Devils, SKA St. Petersburg, and the KHL. However, it is also a fascinating development in the labour rights of hockey players – particularly concerning the binding nature of contracts and the right to labour mobility. This post examines Kovalchuk’s NHL career and retirement, explores notable criticisms of the player’s actions by Don Cherry and Jeremy Roenick, and finally discusses whether the competition between the KHL and NHL poses a threat to the NHL’s ability to control the labour conditions of its athletes. Kovalchuk’s retirement is stunning for a number of reasons. 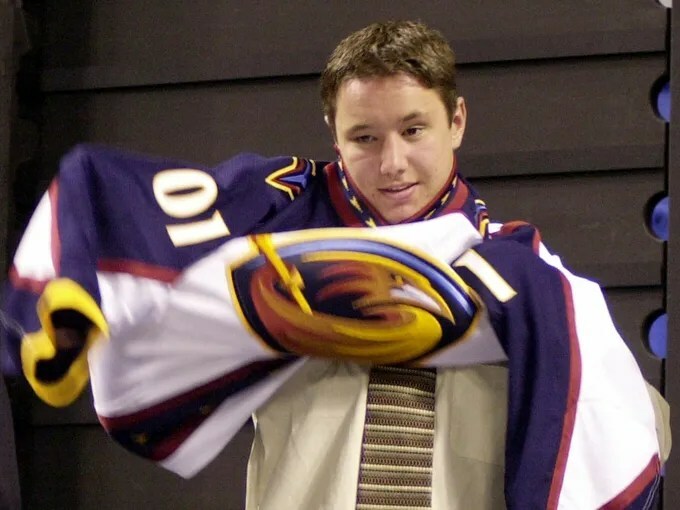 Firstly, Kovalchuk, a former first overall pick of the Atlanta Thrashers in 2001, is just 30 years old and still in the prime of his career. The Russian winger is a superb offensive player who recorded 417 goals and 399 assists in 816 games during his NHL career. Last season with the Devils, Kovalchuk recorded 31 points in 37 games. Interestingly, during the NHL lockout, Kovalchuk returned to Russia and played with SKA St. Petersburg, where he scored 42 points in 36 games. It is generally accepted that, while a midrange Russian player may chose to play in the KHL over the NHL due to financial and cultural reasons, the top international hockey players will ply their trade in the world’s most competitive league: the NHL. While other star players (e.g. Jaromir Jagr, Alexander Radulov), and a large number of midrange players, have left the NHL for the KHL while still in the most productive time of their careers, it is rare for an NHL superstar to jump leagues. In this sense, Kovalchuk’s move would be similar to Alexander Ovechkin leaving for the KHL or Henrik Zetterberg switching to the Swedish Elite League. A second reason that Kovalchuk’s retirement is so shocking is that he was still under contract to the Devils – for another 12 years. In 2010, the Devils signed Kovalchuk to a massive $100 million contract, to be paid over 15 seasons. This contract came on the heels of a failed attempt to sign the player to a 17-year deal, a contract that was deemed by the NHL to circumvent the salary cap and for which the Devils were punished by the league with fines and loss of draft picks. Kovalchuk was ultimately allowed to sign his 15-year pact, a contract that was still front-end loaded to pay him a significant amount of money in the earlier years of his contract. In the first three years of the deal, Kovalchhuk earned $23 million. While he has already earned about a quarter of his contract, Kovalchuk is nonetheless walking away from a huge amount of money. He was due to receive over $10 million in each of the next five seasons, before his wage would have dropped significantly for the remaining years of the contract. The fact that he is leaving so much guaranteed money makes Kovalchuk’s retirement all the more shocking. Kovalchuk is as selfish as they come!!!! I’m appalled. I feel bad for all u devils fans. U deserve better than that!! I watched [Kovalchuk] play in that L.A. series [2012 Stanley Cup Finals]. . . . and I thought, you know, this guy doesn’t look like he’s gonna hang around too long. Let’s face it, it’s the ‘Ice Follies’ over there [in the KHL], he’s gotta play in a war over here [in the NHL] when the playoffs start. He’s getting $77 million tax free [in the KHL]. . . . C’mon. You’d have to be a pretty stupid guy not to get it. In a sense, if you don’t have any honor, it’s a pretty good deal. . . .
Again, the Russians and the foreign people can have their cake and eat it, too. They don’t like it here? ‘Hey, I’ll just go back to the KHL and grab $77 million tax free!’ Why shouldn’t he? They get tax-free! . . . So that’s why a lot of people are afraid to draft Russians. They do what they want to do and we cater to them. . . . They have their cake and eat it, too, and Kovalchuk is just laughing all the way to the bank. Cherry’s argument is built on the premise of loyalty and honour, two traits that have traditionally been highly prized in North American hockey. Cherry admits that playing in the KHL makes financial sense for players like Kovalchuk, who can earn large salaries with low tax rates. However, he is critical of this decision because it demonstrates a lack of loyalty to the NHL and the North American style of hockey. This is particularly evident when Cherry accuses Kovalchuk of quitting the NHL due to the physical nature of the league and disparages the KHL as the “Ice Follies.” Cherry ultimately accuses Russian and other European players of taking advantage of North American hockey by playing in the Canadian Hockey League and/or NHL, before leaving back to Europe rather than playing out their careers in North America. Roenick and Cherry’s arguments are, of course, severely flawed. The both operate from the premise that hockey players somehow “owe” their labour to one team or one league rather than viewing athletes as labourers whose skill-sets allow them a degree of agency in terms of where and for how much they work. As such, Roenick’s claim that Kovalchuk “stole” $23 million from the Devils is absurd – Kovalchuk earned $23 million for his hockey labour as per the terms of his contract. Cherry, not surprisingly, relies on jingoism and outdated understandings of hockey masculinity in order to criticize Kovalchuk. For Cherry, North American hockey is the only legitimate form of the sport and outsiders who play in Canada and the US are only valued if they commit to the NHL for the long term. Cherry implies that Europeans take advantage of North American development and money, thus ignoring two important facts. Firstly, these migrant players contribute in a hockey sense to the teams on which they play and that the relationship is thus mutually beneficial – that is, European players in North America are not parasitic. Secondly, hockey labour migration between North America and Europe is a two-way street and many European roster spots are filled with North American players. For example, since 2008-09 100 Canadians and 34 Americans have played in the KHL (via QuantHockey). In 2012-13, 38 Canadians and 13 Americans played in the KHL versus 29 Russians in the NHL. It is hard to imagine that Cherry would be very critical of a KHL player leaving his team to join the NHL. Kovalchuk, the KHL, and a Challenge to the NHL’s Cartel? Why has the league not moved more of the supply of hockey to where the demand is? . . . The answer has to do with the monopoly structure of the league. Professional hockey in North America is not a free market. NHL owners are not competitors but instead collaborators in a cartel. The NHL, just like the MLB, NFL and NBA, artificially restricts the supply of top-tier professional sport for the benefit of its members, by limiting the number of franchises and controlling where they play. The Collective Bargaining Agreement between NHL and the NHL Players’ Association has rules in place to limit the conditions under which players may freely move teams or negotiate new contracts. Restrictions include limits to entry-level salaries, limits to achieving unrestricted free agency, and – importantly for the Kovalchuk case – the inability of a player under contract to choose to move to another team. In essence, players under an NHL contract do not have the ability to breach that contract (e.g. by simply taking their labour to another franchise) and continue to be employed within the league. Players under contract who are unhappy with their labour conditions thus have very limited options: request a trade (there is no guarantee that the team will meet this request), refuse to play (thus forfeiting salary) until they are traded, or retire from the NHL altogether. In the past few years, the KHL has aggressively recruited top-end hockey talent and, at least for elite players, has emerged as a legitimate alternative to the NHL in terms of its earning potential for players. Before this, a player taking a similar course as Kovalchuk (retiring from the NHL and then joining another league) would face a significant drop in salary because no other league could match the NHL’s ability to pay its players at a high level. Now, with the KHL able and willing to offer large salaries to star hockey players, some hockey players have a new degree of agency over where and for how much they work. In short, the emergence of the KHL as a rival to the NHL (at least in terms of financial clout) appears to mean that it could pose a threat to the NHL cartel’s control over hockey players’ labour. Ever since the Kontinental Hockey League came into existence in 2008 and promptly brought Alexander Radulov and Jaromir Jagr over to Russia, the spectre of a rival league that could lure top-level talent away from the NHL hung over the hockey world. Finally, the KHL has its poster boy. And even though there probably won’t be a flood of players chasing immediately behind [Kovalchuk], one industry source with strong ties in Europe wondered aloud Thursday: “The big question is who is joining him?”. . . Indeed, Kovalchuk is blazing a new path for accomplished Russian hockey players. Don’t be surprised if any of his countrymen choose to follow. On a macro level, though, is it time to panic for the NHL? Probably not. 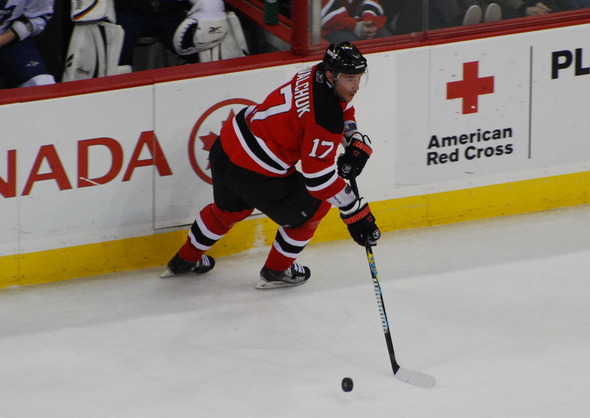 Kovalchuk’s departure is significant, certainly, but is unlikely to start a mass exodus. . . . The KHL recently implemented a salary cap of 1.1 billion rubles . . . which is roughly half of the salary cap imposed on NHL teams. Simply put, KHL teams won’t be able to pay players as much as NHL teams on average. More importantly, while the KHL allows teams to waive one player’s salary from the salary cap (hence Kovalchuk’s $20 million), that player must be eligible to play for the Russian national team. Would elite Russian players like Alexander Ovechkin and Evgeni Malkin consider leaving the NHL to double or triple their salaries while playing in front of their friends and family? Maybe, but the bottom line is that the elite North American and other non-Russian players will most likely stay in the NHL for the long haul. That, combined with the allure of Lord Stanley’s Cup, will ensure that the NHL remains the preeminent place to play professional hockey for years to come. So perhaps Kovalchuk’s move is a unique circumstance, and one that will not have a major impact on the labour mobility of NHL players in the future. However, it does represent a very notable example of a hockey player using the means available to him to control the conditions of his labour – and that offers the possibility, even if it is never fully realized, for NHL players to exercise more agency over where they ply their trade. We can be certain that the NHL will do its damnedest to prevent a widespread renegotiation of labour terms (which, as they stand, are extremely profitable for franchise owners), but if the KHL continues to expand and recruit NHL players we may well see more high-profile athletes breaking their contracts and leaving for the rival league. Great article Mark. Lots of good information. I hadn’t heard about Cherry’s little rant but he is nothing if not consistent. I think that Kovalchuk’s move demonstrate’s a lack of selfishness. Not many people would be willing to walk away from that much money. I think if he stayed just to watch his bank account get bigger THAT would be selfish. It would be nice if the NHL had a little competition because that might be the catalyst needed to get the owners to embrace some change. Thanks Courtney! I agree, this seems to be a move about family and lifestyle rather than money. In any other job, a person who worked overseas for 10 years and then left to return to their homeland would not be seen as cowardly or selfish – but the “loyalty” demanded (but not paid for) of pro athletes make it a weird exception in terms of labour conditions. A very comprehensive article, Mark. I agree that Ilya Kovalchuk is now the poster boy for the KHL but is it, as you said, as significant as Alex Ovechkin retiring from the NHL? Though Kovalchuk was in two of the least marketed franchises in Atlanta and New Jersey, he was never the marketable personality that Ovechkin is today. Some believe Ovechkin could not consider retirement from the NHL due to his innumerable obligations with sponsors. He has those over Kovalchuk because he is a Public Relations dream with his outgoing and mostly lovable nature. Is Kovalchuk reason enough for NHL fans to begin watching the KHL? Is Ovechkin? I see Kovalchuk’s departure as not unlike Jaromir Jagr when he played in the KHL. Both are seemingly private or well-guarded individuals despite their large appeal to fans internationally. Bobby Hull brought true star power to the WHA despite other signings like Bernie Parent, Derek Sanderson, and J.C. Tremblay. In terms of controlling one’s labour conditions, would a player like Ovechkin or one of his equal worth with more ties to the market and more contractual obligations have as much agency? With Ovechkin’s profound reach into North American sports culture, his departure might cause the greater fissure: a departure of a star and of a significant marketing asset from the most watched hockey league in the world. Enjoyed the article and I follow the site. Great work. Hi Joe, thanks for reading and for your kind comments about the blog! You make some great points, including that Kovalchuk (despite being an amazing hockey player) does not have the same off-the-rink impact as an Ovechkin type of personality. It’s interesting how much more goes into being a “star” than simply hockey ability, eh? As you say, Kovalchuk will be missed more by fans of the Devils than fans of the NHL as a whole. And that is a very good point about earnings from sponsorship – this is something about which I am completely ignorant in the Russian context. I also think the quality of play is another major draw for the NHL, as hypercompetitive athletes will almost certainly want to play in the best league they possibly can. Nonetheless, it will be interesting to see of the KHL’s level of play continues to rise and if more stars in their prime make the move overseas. This could especially become an issue as the KHL absorbs more and more clubs from across Europe (Jokerit in Finland being the most recent), thus potentially being able to lure more European players back to their native countries. Either way, the Kovalchuk move is a fascinating one. It may well stand as an anomaly, but if it does start at least a trickle of NHL-KHL moves it will be really interesting to see how this situation develops in the future.